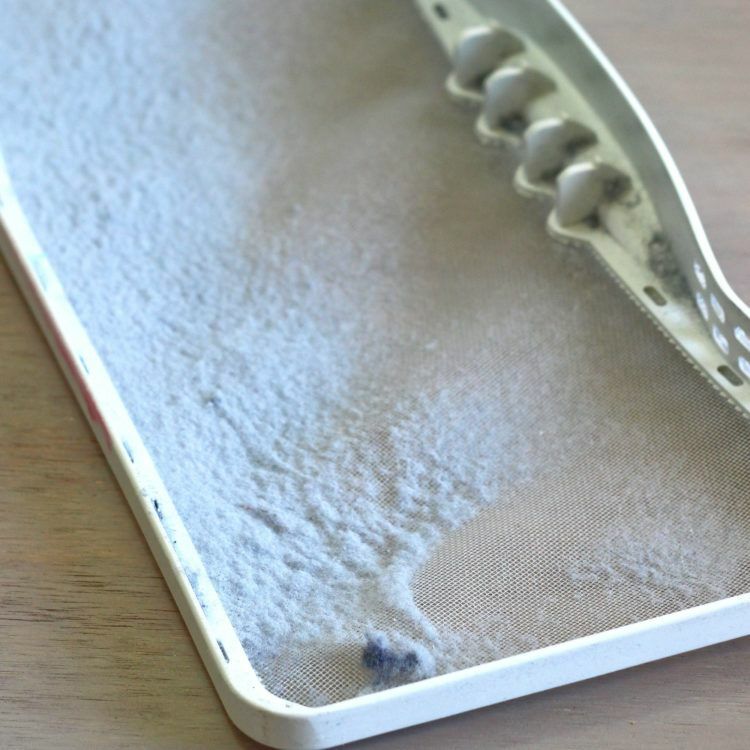 Who knew there are actually worthwhile uses for dryer lint? And here I was, just chucking it and wondering if maybe it could go into the recycling bin. 1. 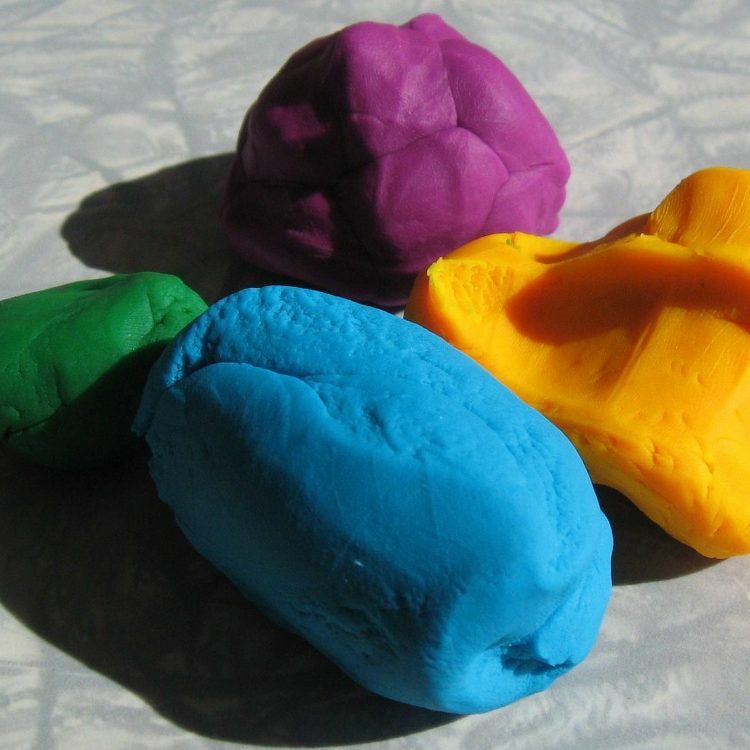 Make clay out of dryer lint for the kids. 2. Make dryer lint into paper mache. 3. Add dryer lint to homemade paper. 4. Line planters with it. One thing to keep in mind about dryer lint: it’s pretty flammable. For that reason, you probably don’t want to use it to make things that someone’s going to wear or sleep near. 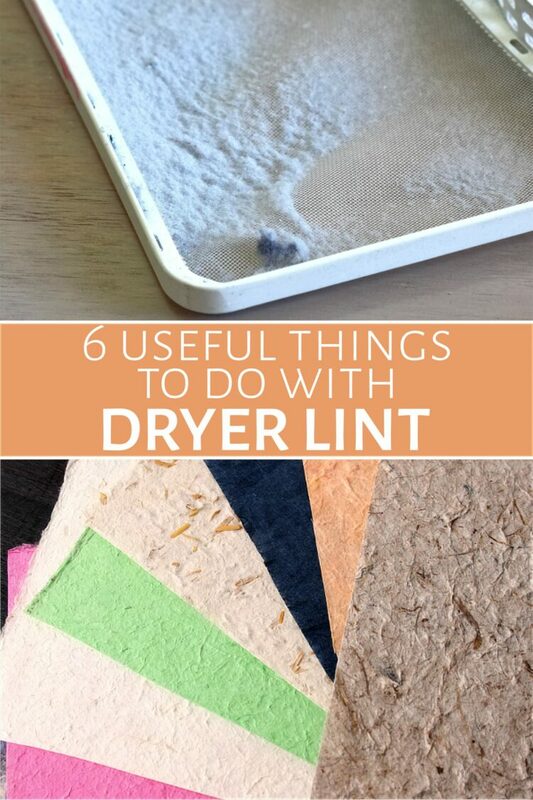 In fact, at the bottom of the post I have a list of things not to do with dryer lint. This includes, but isn’t limited to, projects where the flammability could become an issue. You’ll need three cups of dryer lint, torn into small pieces. Put it into a saucepan with two cups of water. Gradually stir in a cup of flour. Continue stirring slowly over low heat as you add 3-5 drops of vegetable oil. Once it’s smooth and sticking together nicely, you can pour it onto wax paper to cool. The nice thing about this recipe is that, compared to typical clay recipes, it uses much less flour. That means you’re using “trash” instead of a useful food item. This isn’t the sort of paper mache that’s just wet strips of newspaper wrapped onto a mold. This is more like a clay, and it’s stronger and more durable than the other version. Kids can make sculptures out of it and once they’re dry (which can take several days, so be careful touching them during that time) they should last a long time. Take the same mix of water and dryer lint as in the clay recipe, but add two-thirds of a cup of flour this time. Cook over medium heat, continuously stirring. You know it’s done when you can form peaks with the spoon. Pour on wax paper to cool. 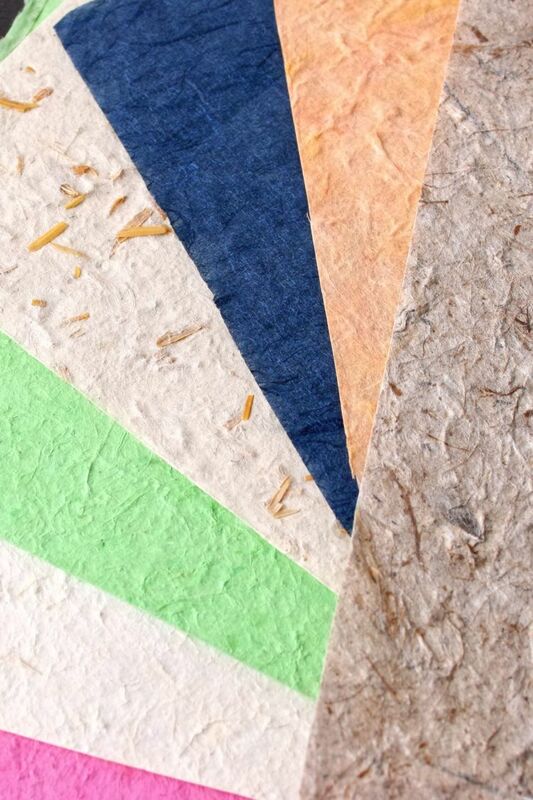 If you’re into making paper at home out of your recycled shredding and other papers, you can add dryer lint to give it a nice linen-like feel. Home recycled paper is great for scrapbooking! 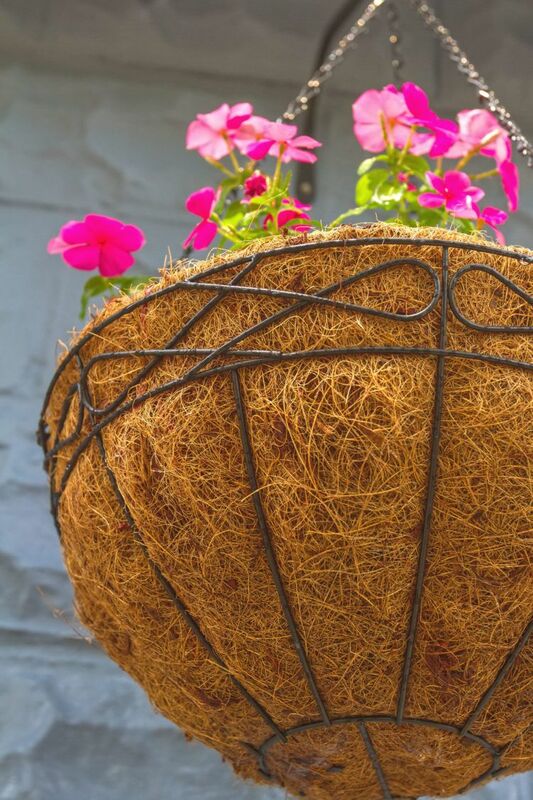 To keep soil and water inside a planter, line it with dryer lint before adding the soil and plant. For best results, use dryer lint inside the traditional straw mat to increase its absorbency. Because dryer lint is so flammable, it makes a great fire starter for campers. 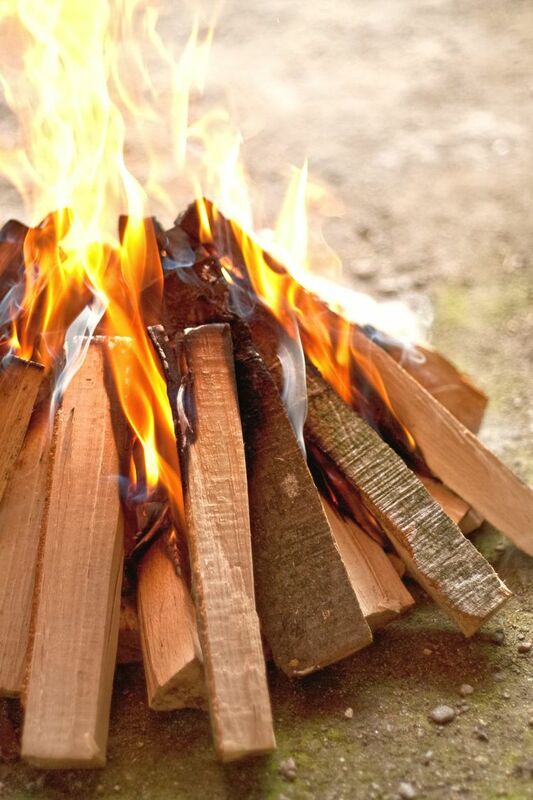 Pack it into toilet paper rolls for a starter that can burn completely, or just add it to your kindling box. If your lint comes entirely from natural fibers, you can add it to your compost or used as mulch around plants to help keep moisture in. 1. Don’t give it to birds. Birds have incredibly sensitive respiratory systems, very different from those of other animals. Bits of fabric and lint can get into their nares (nostrils) and cause trouble. Some websites recommend giving it to birds, but this is a bad idea. Better safe than sorry, right? 2. Don’t put it in something you don’t want to be flammable. Dryer lint is incredibly flammable on its own, so don’t stuff toys, pillows or bedding with it. I also recommend against stuffing pet toys with it or stuffing socks to make a draft stopper. You never know what pets might do (stick a toy against a heater, perhaps? ), and while lining a door with a draft stopper isn’t going to set your house afire, it isn’t going to help if something else does. 3. Don’t stuff packages with it – there are better alternatives. I’ve seen this recommended online, but dryer lint will seriously compress while in transit, so don’t expect it to provide any real padding in shipping. Shredded paper is a much better alternative. This is insanely awesome. I gave my best friend dryer lint for her birthday twelve years ago (long story…) Now she finally has a use for it.